How do you Choose Between 2 Great Ultrasound Systems? Here’s proof that you can’t buy an ultrasound by looking at a spec sheet. 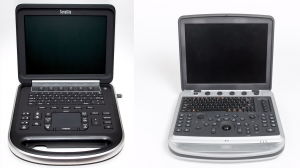 To most people, the Fuji SonoSite Edge and Chison SonoBook 9 portable ultrasound systems would appear to be very similar. But the fact is, they’re not. They have different purposes, and a person who loves one, may hate the other. In this video, you’ll learn about the differences between these two machines, and how you can decide which one is best for you. If you want to know more or would like a free quote on this equipment call us today at 877-661-8224 or contact us here.